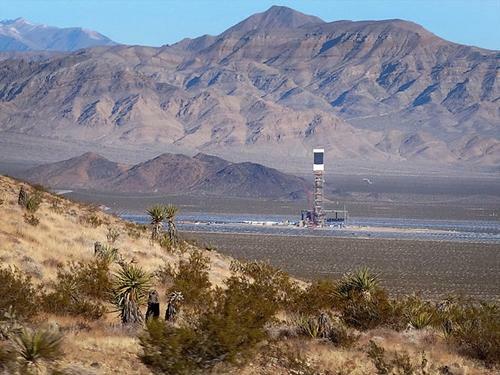 Ivanpah, California, solar power plant nears completion | West Coast Solar, Inc. The public is slowly becoming more aware of the dangers of climate change and the need to decrease human production of carbon dioxide and other greenhouse gases. As such, utility companies and investors are spending more time and money developing renewable energy projects that will reduce our dependence on fossil fuels, provide a limitless source of electricity, and strengthen the economy. One such project is being built in the Mojave Desert, and promises to usher in a new era of clean technology. EarthTechling, a site that tracks the clean technology sector, reports that the Ivanpah Solar Electric Generation System, a massive solar power plant located in the Ivanpah, California, is nearing completion and will begin producing electricity very soon according to developers of the site. However, the Ivanpah plant is very different from the rooftop photovolatic panels West Coast Solar installs on its customers’ roofs. The plant uses solar thermal technology to produce energy. Sunlight is concentrated and redirected by giant mirrors called heliostats, which focus the light on a central tower where water is heated, converted to steam and sent through a turbine, which spins to produce electricity. Ivanpah has three towers that are surrounded by 153,990 heliostats, with another 20,000 on the way. As the sun moves through the sky, the mirrors are shifted by computers to produce the necessary amount of heat to power the turbine generators. The plant has a capacity of 377 megawatts, enough to power 140,000 homes. It will also reduce carbon dioxide emissions by 400,000 tons every year. It’s good to see that solar power, whether it’s photovoltaic or thermal, is becoming more ubiquitous. West Coast Solar encourages utility customers to contact a local Northern California Solar company to find out how solar energy can benefit their home or business by providing clean, renewable power that will lower monthly utility bills.